Scratch your head over these puzzle questions, all of which are based on real-world science. 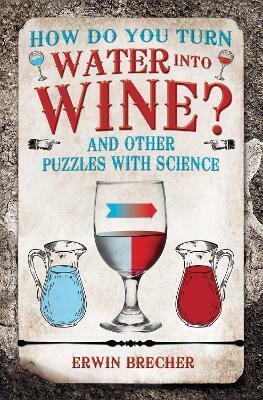 As you answer the question, you'll be learning how to do everything from turning water into wine to cracking safes, and how to build a time machine! Baffle your friends with these factual conundrums - from how two equidistant cities can be separated by different distances, to how to pot every ball in pool without fail - in over 100 different puzzles. Mensan Erwin Brecher, PhD, was educated in Vienna, Czechoslovakia and London, where he studied physics, economics and engineering. He has written many puzzle books of high quality and wide variety. He received the Order of Merit in gold from the city of Vienna in recognition of his literary achievements.